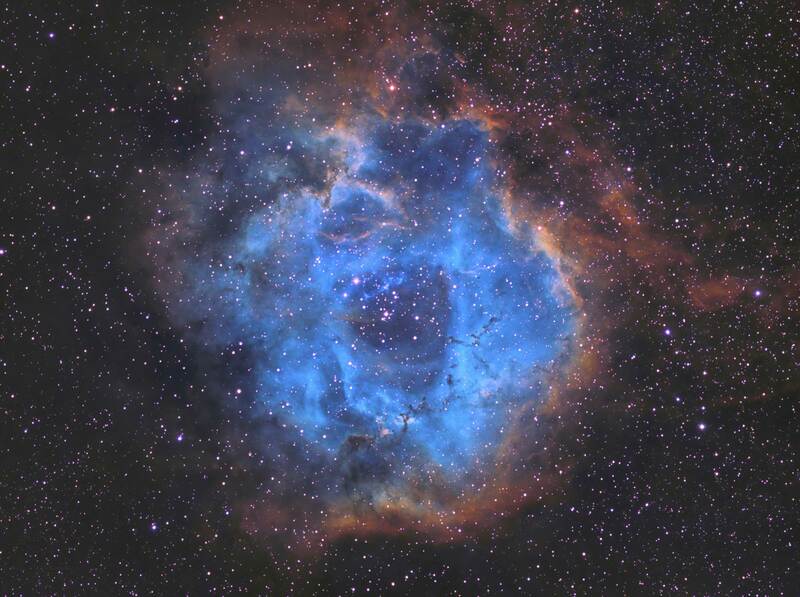 The Rosette nebula is a large emission nebula in the constellation Monoceros. It consists of several star clusters with surrounding emission nebula designated as NGC 2237, 2238, 2239, and 2246 all surrounding the central open star cluster NGC 2244. The central star cluster is very young and was formed from the gas surrounding the cluster. This cluster is also responsible for illuminating the surrounding gas that forms the Rosette nebula. The cluster contains Type O and B stars which are very large and very hot and the ultraviolet radiation from these forms the “hole” in the center of the nebula by blasting away the less dense gas. 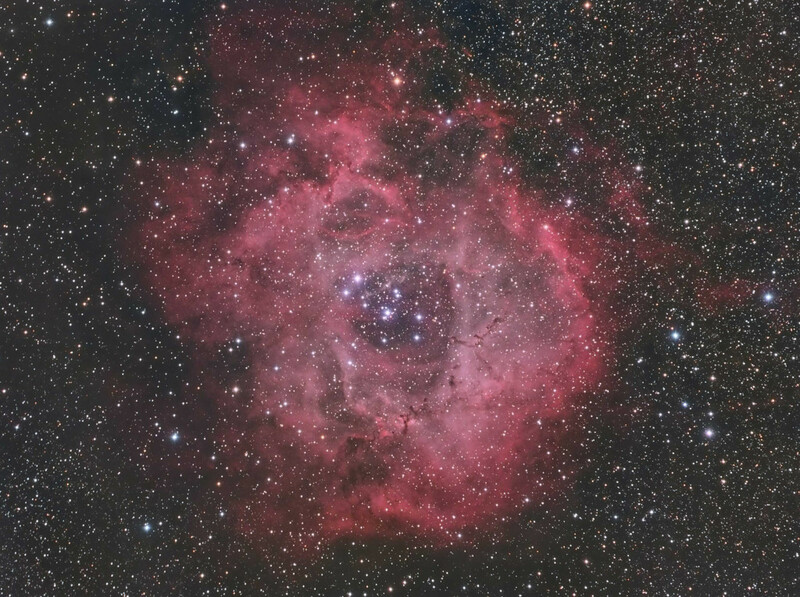 Star formation is still occurring in this region as other small clusters (NGC 2238,2239) have been detected in the surrounding gas areas of the nebula.